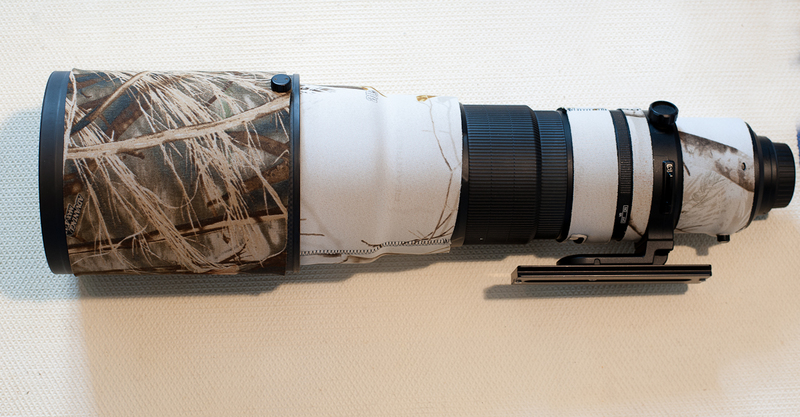 → Article: Nikkor 500 mm f/4G ED VR N: impressions of use, notes, sensations. Nikkor 500 mm f/4G ED VR N: impressions of use, notes, sensations. 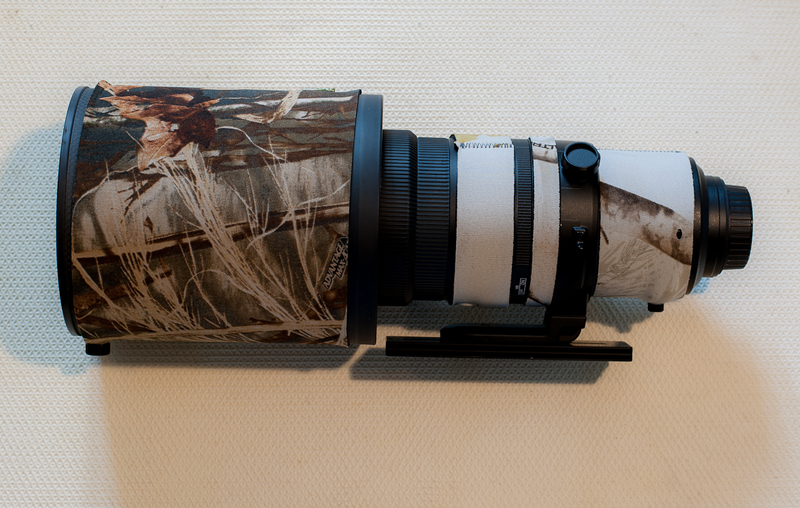 The Nikkor 500 mm f/4G ED VR N mounted on D3s, Gitzo Series 3 tripod, Photoseiki head. 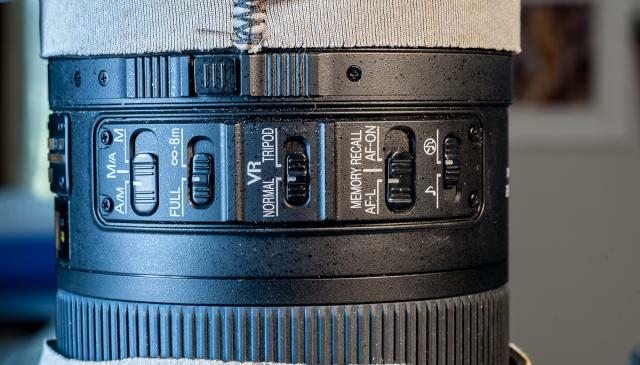 A playful picture of the 500 AFS VR compared to the smallest (in size) lens proposed by Nikon, the 45 f/2.8 AIS-P. 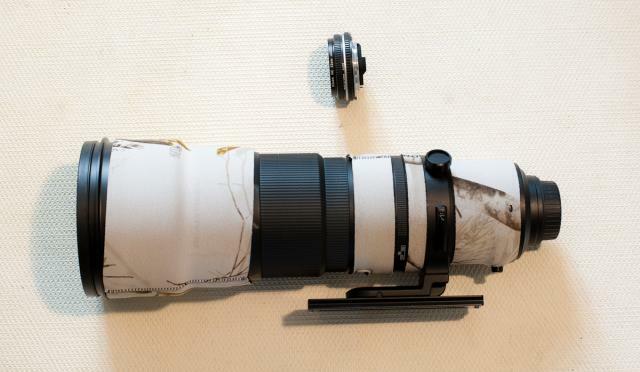 I used for some years the Nikkor 300 mm f 2.8 first AF-version, but I need more reach, so I changed it with the fantastic Nikkor 500 mm f/4 AIS-P version equipped with a CPU and after two years I considered to switch to the modern AFS VR. My choice was attended by several factors, such as the presence of a fast and accurate autofocus system and a second-generation VR , its lightness, the robustness which makes it able to withstand heavy use in the field. 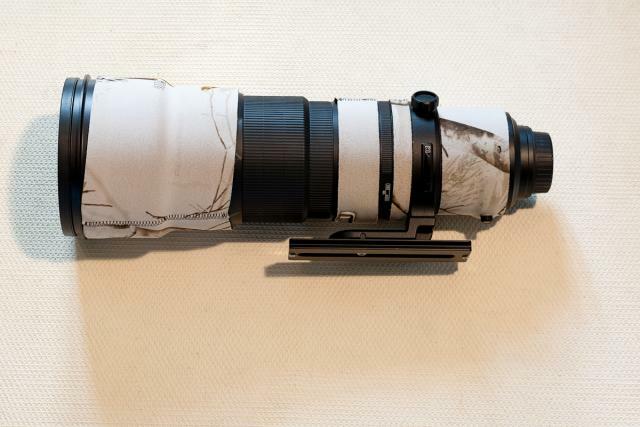 The 500 mm is the choice of many naturalist photographers, first of all for the weight and size that are not excessive when compared to a 600 mm; his Freehand handling represents another good card to play. This is not a lens designed to photograph animals from long distances (as it is not any tele), and after about three years I used it mostly between 5 and 20-30 meters maximum. Beyond these distances I generally not shot, or if I do it is only for documentation. It is good, however, that this big lens is optimized to get a good results over long distances (Seeing and allowing air humidity). 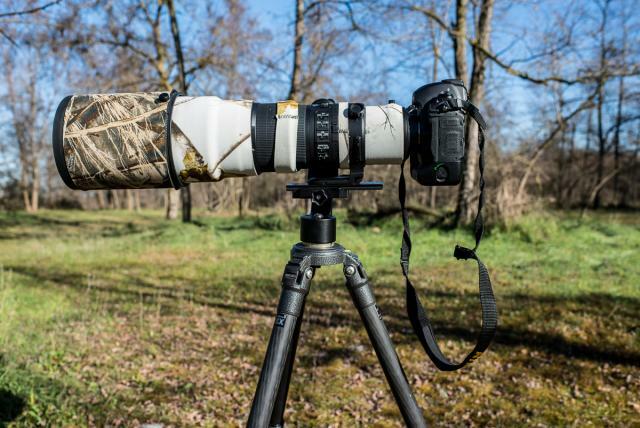 This feature is useful for photographic activities involving for example the observation of nests from a long distance, or monitoring animals within protected areas (Gran Paradiso Park Rangers perform observations of nests using long telephotolenses like the 800 mm multiplied with 2 x). length without hood 40.5 cm. Lens with mounted hood: 55.5 cm long. With the hood retracted: length 41 cm. With neoprene cap (optional, about twenty euros) and with the Nikon protection Cap, note that the neoprene hood is much less bulky and it protects well the front lens. With a D3-like body attached we handle a weight of 5.32 kg. -Distance range autofocus Selector, often I use infinite-position 8 m., species with small birds, note that in this case the AF speed increases. 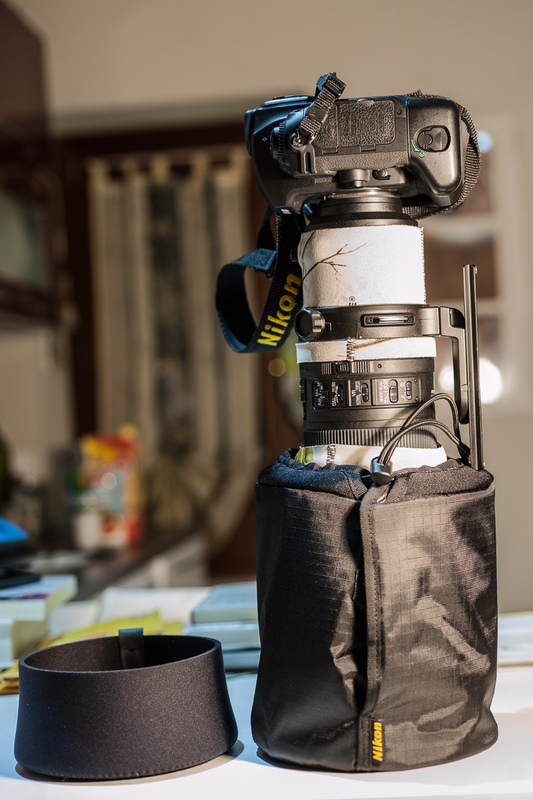 -Vibration Reductor, Normal selector (which I normally used), and Tripod. -Recall Memory Selector, to call the fire point, useful but still don't use it much, I will return to this topic. -Acoustic beep Selector, always disabled as far as I'm concerned. I think if the commands were slightly larger the ease of handling with the gloves would have benefited, some selectors are really too small in my opinion. I usuallly shot on tripod from a fixed location, (I currently use with satisfaction a GITZO GT LS 3541 although I'd try an upgrade to 5 series). About backpacks, I use two different types, a Lowepro Lens Trekker 600 AW II which allows the transport of telephoto lens with a lens retracted, neoprene hood and machine body with dimensions type D3-body already engaged. 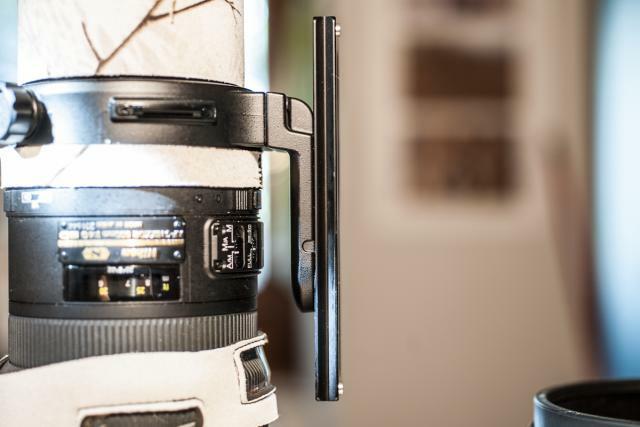 In the front pocket is possible to put the multiplier or a second camera body, or water and food; Is not suitable for long walks since it is not designed for such use, even if it is rather comfortable. 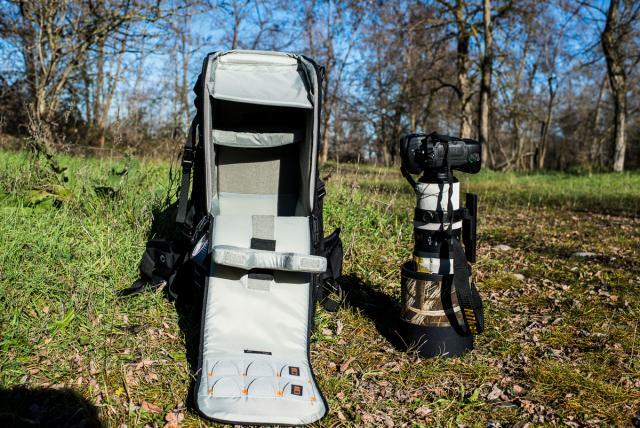 I also use a smaller Lowepro Photo Trekker Classic for longer trips, it contains the 500 mm , with the camera in another compartment. I didn't ever had problems in airport with the dimension of the baggage with this solution.